A noble sentiment that I actually disagree with. After all, sitting in the sun-drenched conservatory drinking coffee with Brian this morning involved neither effort, pain, nor difficulty, but by crikey it was worth doing. Nonetheless I get the point. With Marathon day on April 22nd just over 2 weeks away, most runners will have peaked by now – that is, they’ve completed their longest runs and are now into the Taper, that final 2 to 3 weeks of recovering from training. It's a time to rest and gather strength for the event itself. Brian completed his 18 miler on Tuesday, and although successful, it was tough and he was left with some questions. This morning’s session was a chance to celebrate progress, address concerns, and review strategy and skills for race day. In his 75th year (yes 75, it’s worth repeating), he was never going beat Mo Farrah. But let’s look at that for a moment. The IAAF world record for men is 2:02:57, set by Dennis Kimetto of Kenya on September 28, 2014 at the Berlin Marathon. When I run my marathons, they’re generally between 3 and 3.5 hours. Brian was on his feet for just over 6 hours, 3 times longer than Dennis Kimetto and twice as long as me. That’s a heck of a long time to be on your feet, and you need to apply some strategies to cope with that. 6 hours (and more) of repetition of anything is going to make you seize up, so anything you can do to relieve that is good. 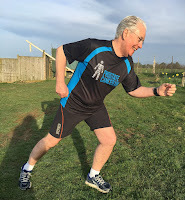 This morning Brian and I revised some dynamic stretches that you can incorporate into walking breaks, like marching, walking on tip toes or heels, ‘tin solder’ and ‘opening and closing the gate’ to stretch out the hips. Actually my favourite things on long runs are weaving a path side to side round obstacles, and also running backwards. Please note, not advised for London Marathon day, your 36,000 competitors will not thank you. Hydration of choice for Brian is flat coke with a pinch of salt, job done. However, a question still remained over nutrition. Brian told me that an endurance kyaker friend of his advised him to eat bars of Twix. Far be it from me to disagree with an experienced kyaker, but I have to say I was surprised. Brian’s explanation was that it had biscuit. Erm. Ok. 🤔 On further discussion it turned out he was talking about Snickers bars. OK NOW I’m on board. Especially since up until July 19, 1990 they were marketed as Marathons. Twix v. Marathon for the London Marathon? Come on Brian, it’s a no brainer. "I am surprised to have reached 74 and saddened that so many friends haven’t. Too many have died of cancer and prostate cancer is one of the biggest killers of men, rivalling breast cancer for women but much less well funded in terms of research spend. That’s why I’m trying to raise money for prostate cancer research. 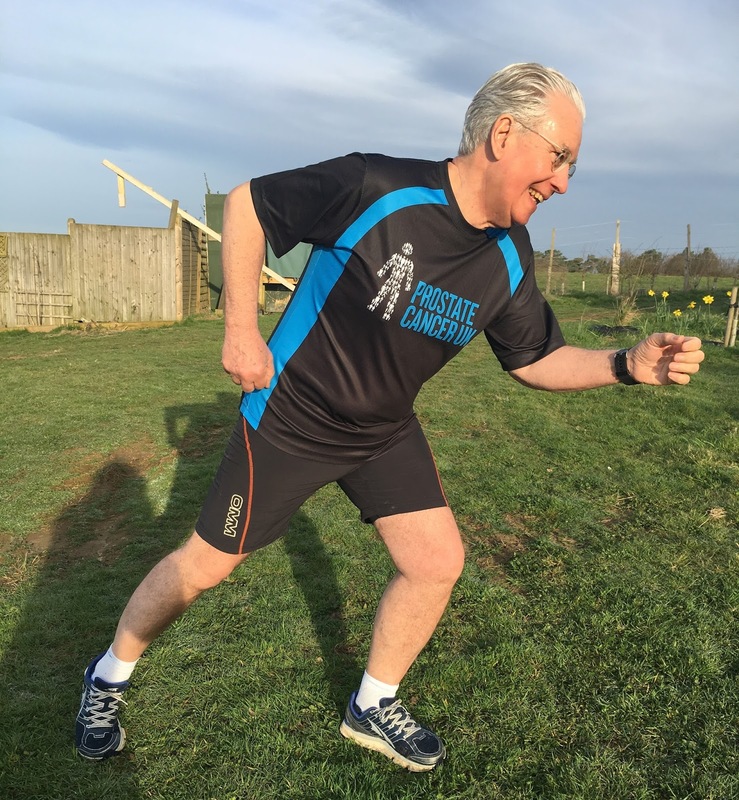 It is a privilege to attempt to assist with the immensely valuable work carried out by Prostate Cancer UK and I hope that you will support my staggering (strictly in the physical sense) effort." I’m going to have to write another post focusing on the mental elements of the marathon and marathon training. But for today, let me leave you with two thoughts. Firstly, trust your training. Whatever concerns or doubts you have today or tomorrow or at the start line, you can trust in your months of effort in training. And secondly, you will succeed if you do not quit. Simple. If you remember only one thing, let it be this.